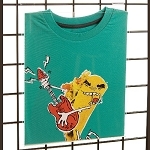 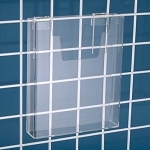 Gridwall Fixtures and Panels bring many display options to your store or service area, from showcasing apparel to selling souvenir coffee mugs. 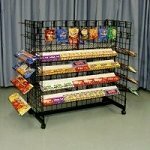 Gridwall panels and store fixtures provide an open canvas for you to apply your creativity by simply mixing a number of these wire display systems in your store. 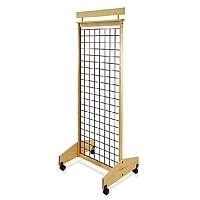 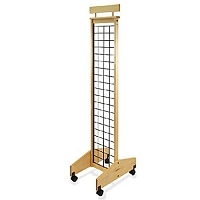 2-Sided Mobile Wood Gridwall Display-13"
2-Sided Mobile Wood Gridwall Display -25"
Attach grid-wall hooks, bins, baskets, hangers or other accessories and design a custom-made display to fit your store's yearnings. 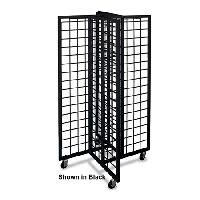 With the open grid pattern it’s easy to attach and reassemble. 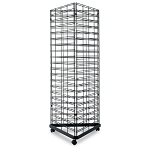 Set up a cube wire system for a one-of-a-kind shelving unit in dorm rooms or classes for students to store their belongings. 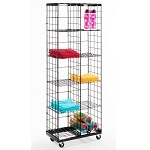 These shelving systems are especially great for folded clothes, gift items, shoe storage, and books, but that is just the tip of the iceberg on how to utilize these grid cubes. 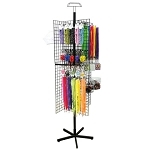 Bring forth the 4-Way Grid spinners and basket displays and allow for easy access to the retailed merchandise. 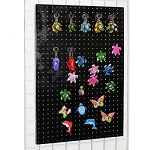 Add the Metal Pegboard Magnet Display to grid panels and fill up with magnetic memorabilia from places of interest when traveling. 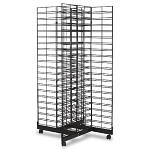 There are so many potential opportunities for your store to grow. 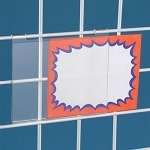 See for yourself and check out all our showcasing fixtures. 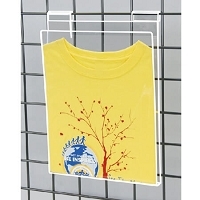 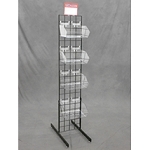 Display grids are ideal for numerous types of merchandise when it comes to displaying, storage, and organization. 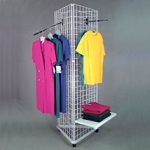 With so many selections to choose from you will surely find the perfect match for you. 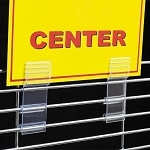 Get your name out there and advertise your store or spotlight a product for the day by adding signage. 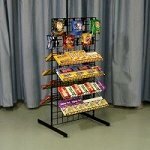 Check out our retail signs department. 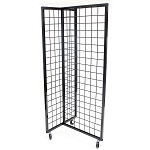 Retail gridwall displays allow you to make a display that is as unique as your store. 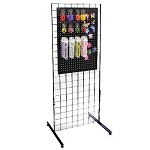 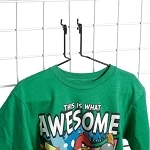 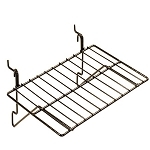 Shape and rearrange the grid panels, hooks, or hangers to fit most odd sized and shaped merchandise. 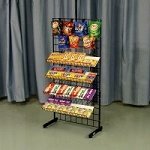 These store fixtures offer a great view of the products, easier access to the products, and are eye-appealing to your potential buyers. 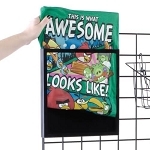 Nine out of ten customers look for all three of these qualities when they go shopping in a retail facility. 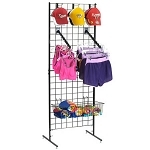 Be their new store of choice and choose to select your grid panels and accessories from All Store Displays. 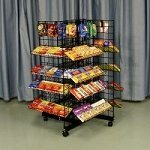 Let us be your new store today!